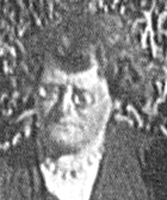 Johanna Elizabeth Silverthorne was born on 29 March 1863 in Lake Sunday, Yorkes Peninsula, South Australia , daughter of Seth Silverthorne and Ellen Casey. 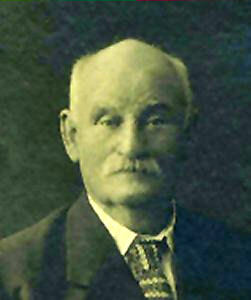 Joseph Michael McEvoy was born on 31 January 1850, son of Denis McEvoy and Ann Jane Carson. [S3] Marriage Registrations, South Australian Marriages 1842-1916, book 237 /page 542. 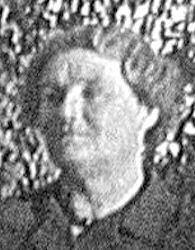 Jessie Florence McEvoy was born on 1 October 1887 in Pinda, South Australia , daughter of Joseph Michael McEvoy and Eliza Anne Bridget Case. [S4] SA Marriage Registrations, SAGHS CD Marriage 1917-1937, book 281/page 1154. 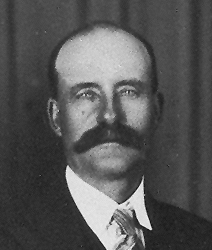 Edwin Robert Joseph McEvoy was born on 19 September 1889 in Pinda, South Australia , son of Joseph Michael McEvoy and Eliza Anne Bridget Case. [S3] Marriage Registrations, South Australian Marriages 1842-1916, book 259/page 416. [S1] Birth Registrations, SA Births 1842-1906, book 975/page 134. [S2] Birth Registrations, S.A. Births 1907-1928, page 13A/page 215. [S2] Birth Registrations, S.A. Births 1907-1928, book 33a/page174. [S2] Birth Registrations, S.A. Births 1907-1928, book 62A/page 358. [S2] Birth Registrations, S.A. Births 1907-1928, 113A/454. [S2] Birth Registrations, S.A. Births 1907-1928, book 148A/page 76. [S2] Birth Registrations, S.A. Births 1907-1928, book 203A/page 88. Amelia Agnes McEvoy was also called "Milly." She was born on 3 April 1892 in Pinda, South Australia , daughter of Joseph Michael McEvoy and Eliza Anne Bridget Case. 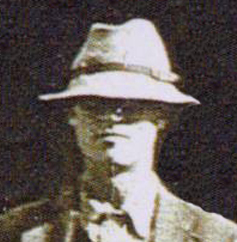 Charles Joseph McEvoy was born on 11 February 1900 in Pinda, South Australia , son of Joseph Michael McEvoy and Eliza Anne Bridget Case. [S4] SA Marriage Registrations, SAGHS CD Marriage 1917-1937, book 290/page 685.